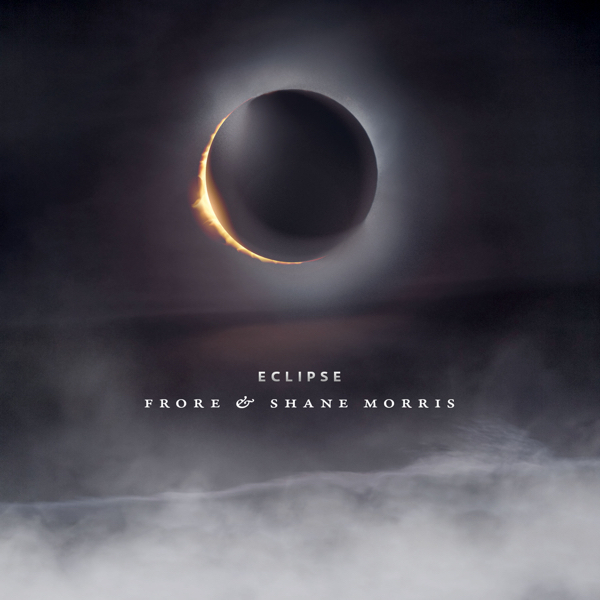 We are happy to announce the release of ECLIPSE, by Frore & Shane Morris. Merging the boundaries of ambient, tribal, and organic electronic, ECLIPSE presents a fusion of deep trance percussion, primitive winds, and dream-soaked electronics into an enigmatic soundworld of timeless tribal magic. Continuing the sonic journey started on the duo’s first collaboration, BLOOD MOON, this new album explores new territories of trance-inducing polyrhythms, deep harmonic meditations, and a potent combination of exotic instruments from around the globe including didjeridoo, ethnic flutes, gongs, djembe, frame drum, and udu pots. Merging these exotic instruments together with organic synth textures and ethereal atmospheres, Frore & Morris craft a primordial ambient experience that further explores the electro-organic soundcurrent introduced by artists like Vidna Obmana, Robert Rich, Steve Roach, and Byron Metcalf.